Hey there! Today, I share with you my review of a Dry Dog Shampoo from Paw Choice. No one likes a smelly dog! Read my review below to learn how to make your doggy smell fresh quickly! The Dry Dog Shampoo does not require the use of water. There is no need for rinsing. The dry shampoo is designed to clean your dogs coat and skin while removing stinky odors. The dry shampoo is go for all dogs. All skin types and coats. It contains natural coconut. 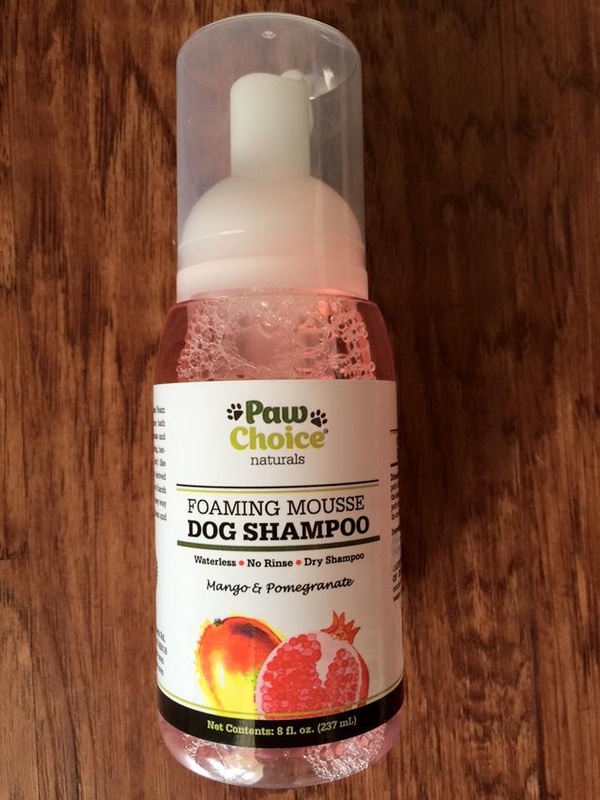 This dry dog shampoo will leave your dog smelling like pomegranates and mangoes. Forget the messy bath! Grab this dry dog shampoo today! Made in the USA! Apply foam directly to your dogs dry coat. Massage and smooth the foam all over without getting any into your dog's eyes. Leave it in and let air dry for an effortless clean bath! That's it! This dry shampoo is very convenient. I have a pug and she tends to smell all the time! Even one day after a bath. So having this shampoo around is a big help. 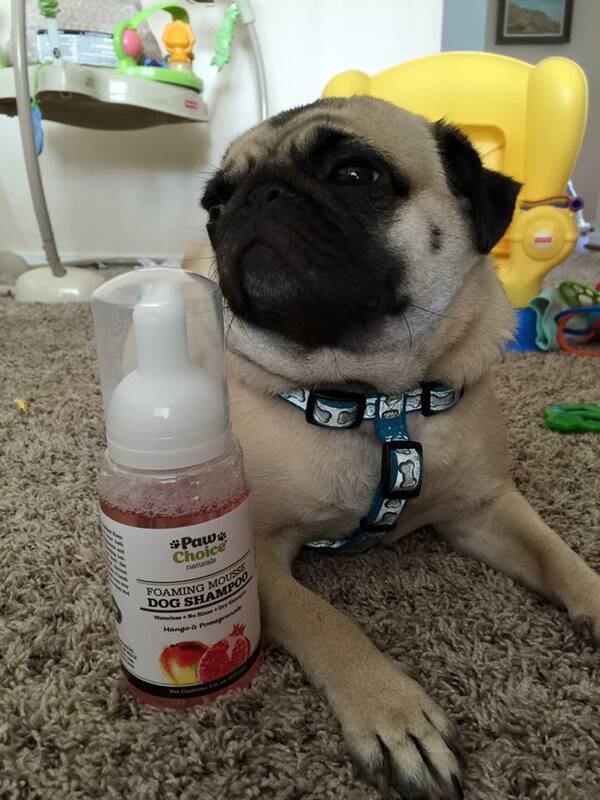 It works great and removes the smelly pug odors and leaves her smelling like fresh fruit. The shampoo does not leave her hair greasy or sticky. It dries quickly. I love the fact that it does not contain any harsh chemicals. I plan on taking this dry dog shampoo with me when I travel. The 8 oz. bottle will fit easily in a suitcase. This is also beneficial for the environment. Less baths means less water!